According to education experts, the most important thing isn’t to focus on teaching kids content. These days, knowledge changes so rapidly, particularly in STEM, that most information is quickly out-of-date. Instead, we need to help kids become “creative problem solvers,” which, according to Harvard education expert Tony Wagner, is what 21st-century employers really need—and struggle to find. Developing skills such as “collaboration, communication, critical thinking, creative innovation, and confidence” will help them become adults who can adapt to new circumstances and tackle unfamiliar problems. The good news is that the best way to help young children acquire these skills is simple—just sit back and let them play. As children do these things, they’re developing the neural pathways that will compose their adult brains. When you consider that the skills that STEM toys aim to develop—creativity, logic, problem solving, experimentation, and collaboration— are skills that will help your child succeed in all types of academic and professional pursuits, in STEM and beyond, it’s hard to lose. Plus, they’re fun — research suggests that toddlers actually prefer toys that help them learn. With that mind, here is a list of some of the best and most useful STEM toys on the market, aimed at children from kindergarten to fifth grade. Robot Turtles started out as a Google engineer’s side project, became Kickstarter’s best-selling board game ever, and is now an international hit. It’s a card-based board game that introduces young kids to programming by letting them play cards with movement instructions on them to direct a turtle around the board, collecting jewels. As they navigate the board with their turtles, they’re also learning the core fundamentals of coding, including “using limited syntax to express complex ideas, getting a grasp on order of operations, and learning debugging by being able to undo instructions when they make mistakes,” according to TechCrunch. 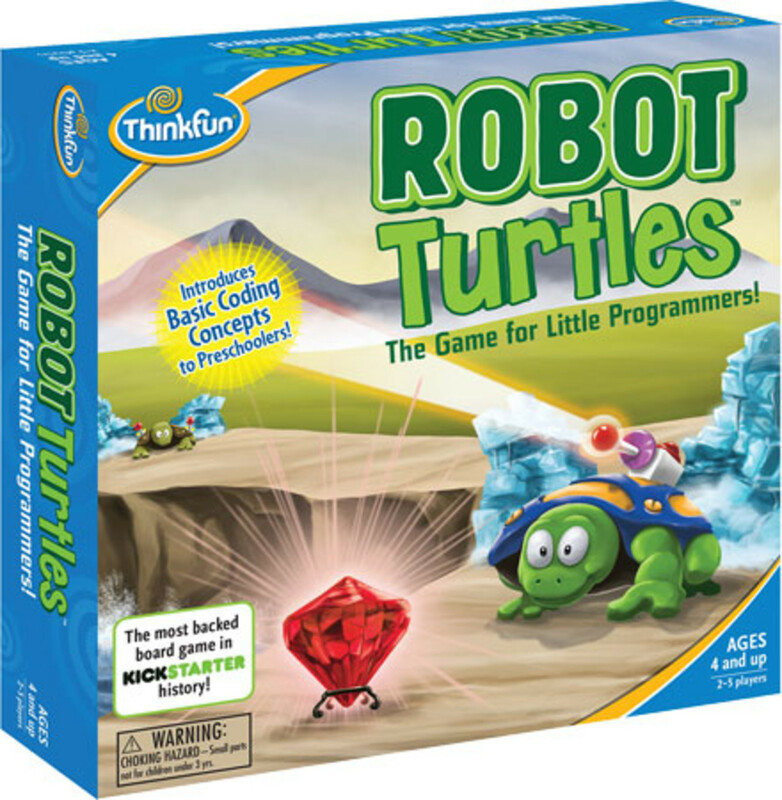 Unlike some other kids’ games, Robot Turtles isn’t something kids play with on their own; it requires that a parent be an active participant—the “computer” that moves the turtles according to kids’ instructions. If you’re looking for a fun family activity that can get your little one to start thinking like a coder, Robot Turtles is it. Lego is a classic for a reason: the basic plastic blocks have limitless possibilities. Research has found that when it comes to promoting skills such as problem solving and mathematical thinking, Legos (and plain wooden blocks) rank highest of all, above any complex toys. (Even adults benefit from the problem-solving and creativity-boosting effects of Lego, which is why Lego sets are stocked in Google offices.) Recent research has even found that playing with Legos helps people deal with negative emotions, too. It may be tempting to gravitate toward flashier, more complex toys, but if Lego is good enough for Google engineers, it’s worth introducing to your children, too. Just be sure to let them build their own creations, rather than only following kits, to harness Lego’s full creativity-boosting powers. Gears! Gears! Gears! is simple: it’s a tub of brightly colored plastic gears that kids can connect with axles and extenders to build complex structures. The challenge is configuring a structure in such a way that all the gears can turn in unison without jamming up. 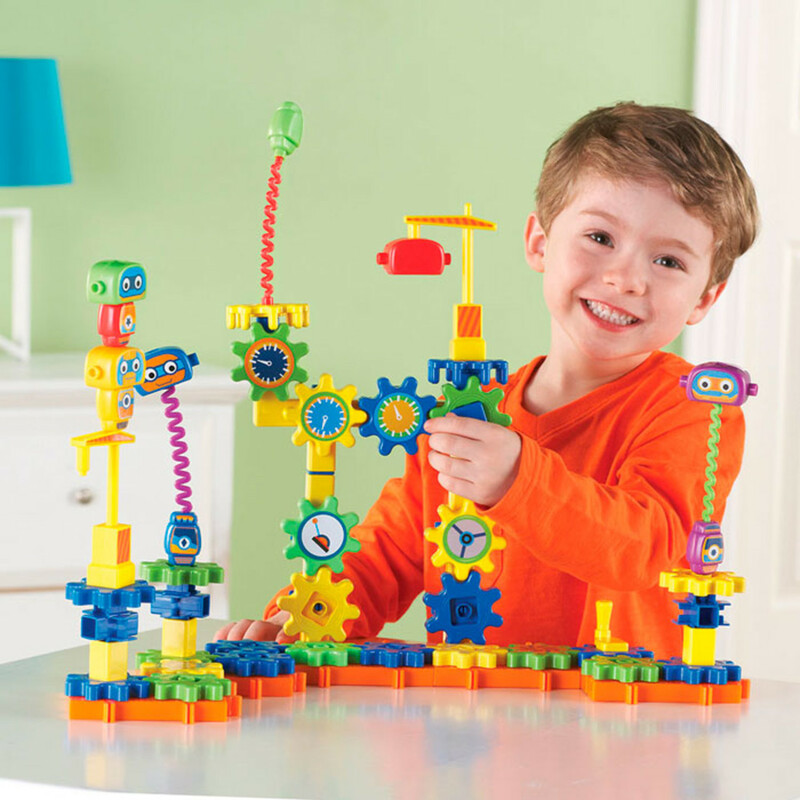 According to the manufacturer, it supports critical thinking, problem solving, and fine motor skills. It’s also won several awards, including the Oppenheim Toy Portfolio Gold Seal, the Best Toy Award, and National Parenting Publications Awards (NAPPA) honors. Like Lego, Gears! Gears! Gears! provides the basic tools that let children’s creativity take hold. The spinning gears add just one extra layer of complication to the structure-building activity. And like with Lego, the combination of spatial awareness and color trigger a positive emotional response in your brain. There are also interesting twists on the original version: Smithsonian Magazine recommends the Gears! Gears! Gears! Space Explorers Building Set, which lets kids create structures while also learning about the solar system and outer space. 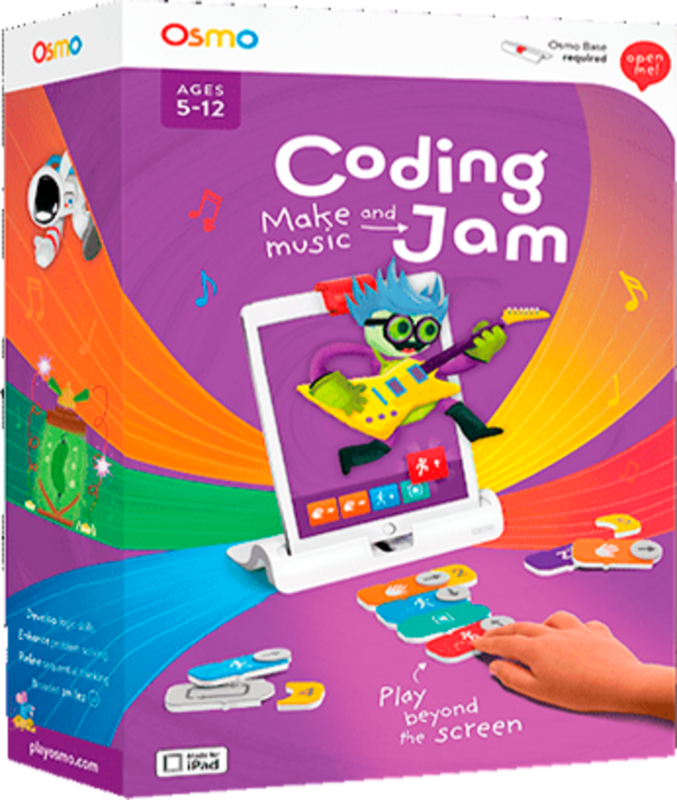 Osmo Coding Jam does require an iPhone or an iPad to pair with, but in a playing field full of games that promise to introduce kids to coding, Osmo emerges as a favorite. The game lets kids make music through programming: kids snap together “coding” blocks into sequences and patterns, and the game’s app translates them into animated musical compositions. In addition to giving kids a basic introduction to the way programming works, it promotes creative thinking, spatial reasoning, critical evaluation, and computational logic. Purdue University professor Monica Cardella says the chance to compose music offers kids a new perspective on programming and engineering. “Kids may not know they’re interested in engineering until they know their interests can relate to engineering,” Cardella says. 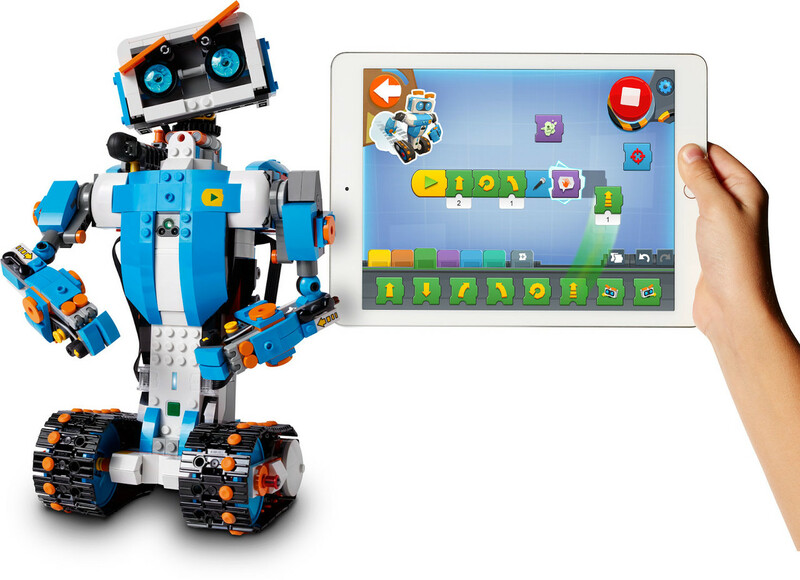 Lego Boost lets kids take the colored blocks they know and love to the next level, using them to construct and animate robots. Kids build one robot at a time from five options. They then learn basic programming via a connected app to make the robots complete various tasks. The Boost is a great way to combine the mechanical activity of building Lego creations with the programming activity of bringing those creations to life. The app’s challenges are playful and engaging, so kids get to have fun with programming without even realizing they’re doing it. With five robots to build and dozens of challenges to complete with each, there’s a lot of play (and learning) potential inside each box. LittleBits are color-coded, modular circuits that snap together with magnets and help kids learn how to connect power sources with inputs and outputs. The base kit comes with 10 circuits, including a power source (connected to a 9-volt battery), an on/off button, a dimmer switch, and a servo motor. You can also buy LittleBit circuits individually, making them a fun way for kids to add motion, sound, and programming to their other toys or projects. 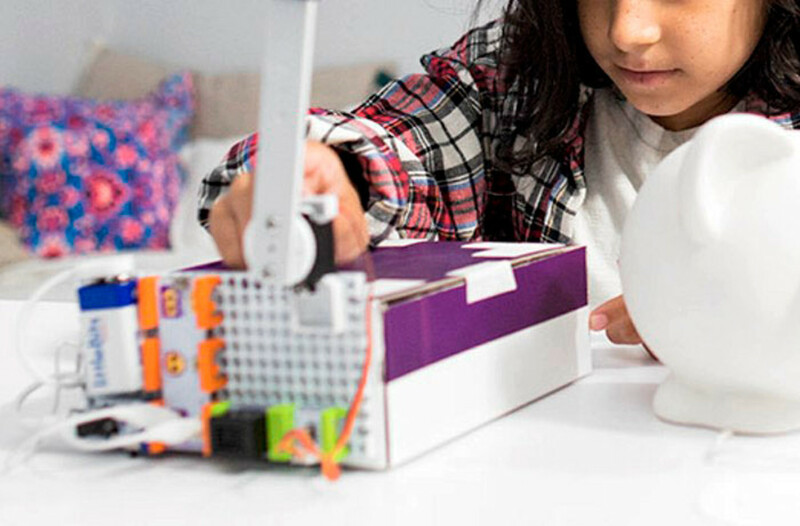 In addition to promoting problem-solving skills, LittleBits claim to give your child “the confidence and curiosity to understand their surroundings and reinvent them.” For a budding engineer or natural tinkerer, LittleBits are a great way to let your child discover the thrill of creating his own interactive invention. Dash is a two-pound, six-and-a-half-inch-tall robot that rolls on three wheels and responds to voice or app-based commands. 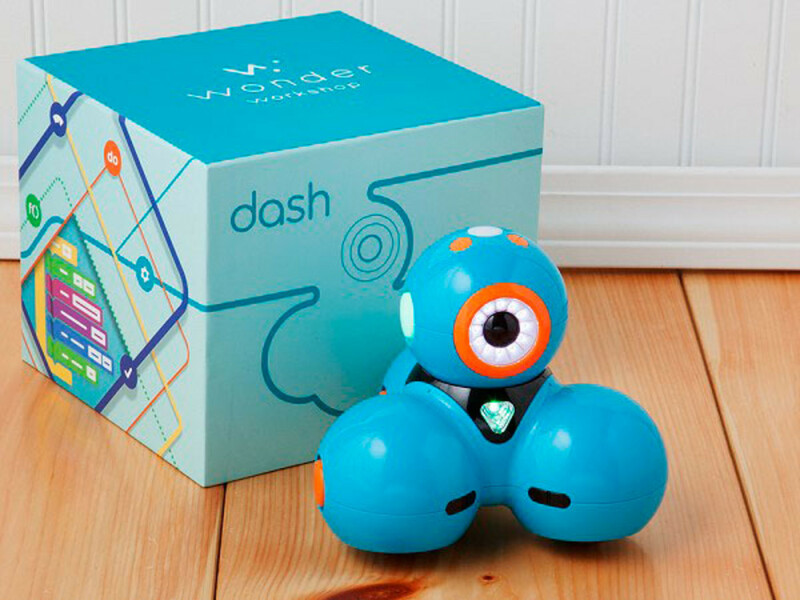 Like several other learning robots on the market, Dash is designed as a learning tool for use in classrooms and at home to help kids explore basic programming concepts. Robots are increasingly popular, but they’re backed by research, too: education researchers believe robots are valuable tools for letting kids explore technology, programming, and engineering, and develop skills such as storytelling, creativity, and visual memory. Among learning robots, Dash stands out for how customizable it is to a kid’s age and learning level. There are five different apps that can be used to engage with Dash: For young children, an app called Path lets kids draw a route for Dash to follow, inserting commands for Dash to make noise, flash lights, and perform other actions. 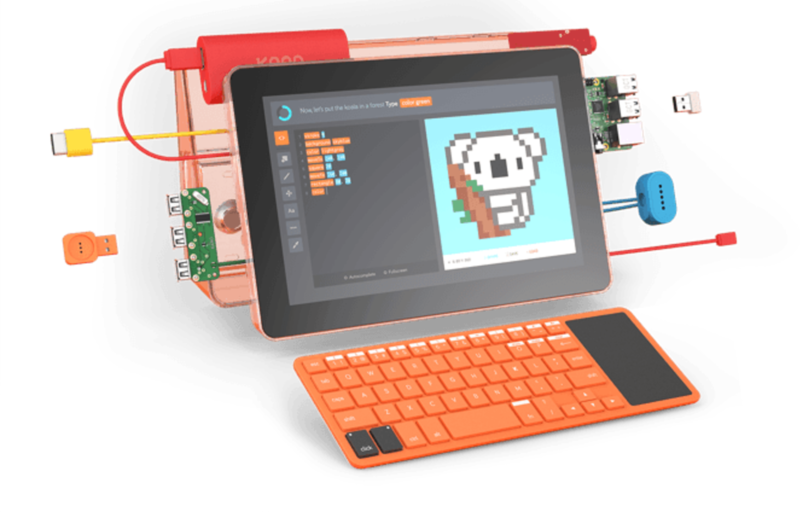 Older kids can use Dash’s programming app, Blockly, to build nested commands with conditionals, loops, triggers, and algorithms. After Blockly, kids move on to Wonder, which uses its own coding language and challenges to teach new concepts and lets kids create their own open-ended programs for Dash. At $150, Dash is pricey, but no more so than other learning robots. And as a tool that aims to lead your child through several years of learning and building on their skills, Dash could be a worthy investment in your child’s educational future. Parents usually try to steer their kids far away from video games when it comes to educational play, and in most cases, they’re probably right to do so. But at least one video game is a valuable learning tool, according to experts: Minecraft. 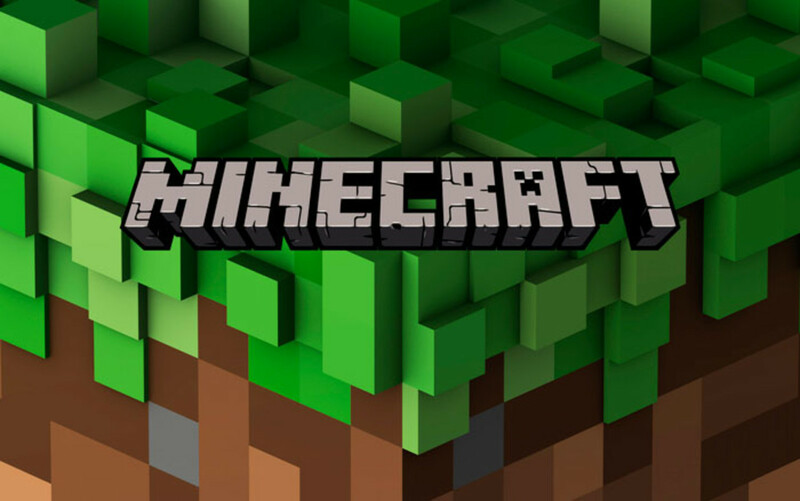 Minecraft is lo-fi and years old, but it has a loyal following of about 100 million registered users. The game is incredibly simple: it’s an open 3D environment that lets users build structures. Experts say that the freedom and creativity the game allows offers children valuable skills, including self-regulation, collaboration, and visuospatial reasoning skills or learning how to manipulate objects in space to create dynamic structures—which is the basis of more abstract forms of knowledge, such as the ability to determine whether a conclusion logically follows from its premises. Minecraft is also valuable in its ability to accommodate different types of learners, including children with autism. Minecraft isn’t for every kid’s tastes, but if your kid loves open-ended play and building structures, or if you’re looking for an alternative to the many mindless video games out there, Minecraft is a good option with research-backed learning value. STEM toys alone probably won’t turn a reluctant child into a miniature scientist, engineer, or programmer. But wherever your child’s interests take her, the skills STEM toys provide—creativity, critical thinking, collaboration, communication, and confidence—will serve her well throughout her education and future career, regardless of what field she chooses. As recent research has found, kids naturally choose toys that help them learn, and their brains are built to automatically extract information about the world from any toy or game they play with. As a parent, one of the most important things you can do for your child’s growing brain is encourage play—and lots of it—knowing that every challenge and puzzle he’s forced to overcome during play is helping him build valuable skills that will help him become a more successful student, worker, and human being.